We have visited many times, lived there both part-time and full-time, and when we are done wandering would like to return. (My first choice would actually be Manhattan, but Hubby won’t step foot in the place. Too much noise, too many people, not enough fishing.) Charleston, South Carolina. How do I love thee? Let me count the ways. 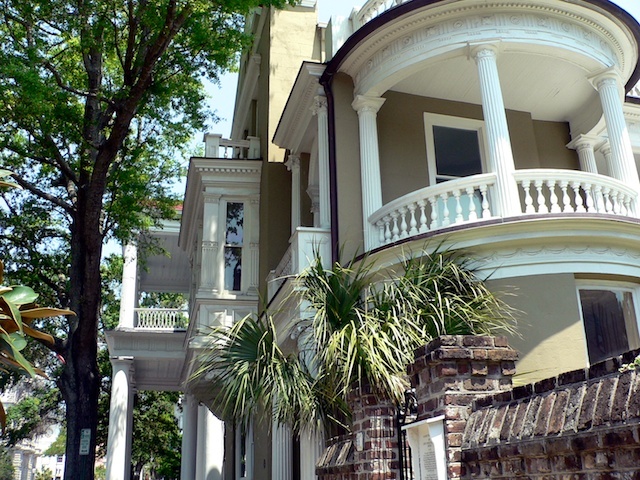 Historical significance, Southern charm, classic arcitecture, Historic homes, vibrant art community, fabulous food, easily accessible, eminently walkable. The Downtown of Charleston all fits on a small peninsula formed where the Ashley and Cooper Rivers meet and flow into the Atlantic. Battery Park and its wide promenade stretches around the tip of this peninsula and offers views across the harbor of Fort Sumpter, where the first shots of the Civil War were fired. Horse drawn carriages clop across the cobblestones carrying tourists back to early days of genteel living, stately mansions and hidden gardens. 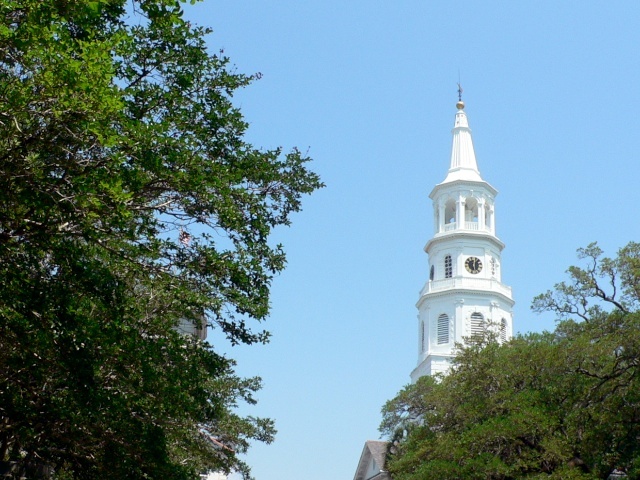 Also known as the Holy City, Charleston’s skyline is dominated by church steeples. It is a great place to spend some time. The French Quarter art galleries, the old Straw Market, lots of antique shops for browsing and historic homes for touring. Outside of town there are tidal creeks and rivers for boating and fishing. 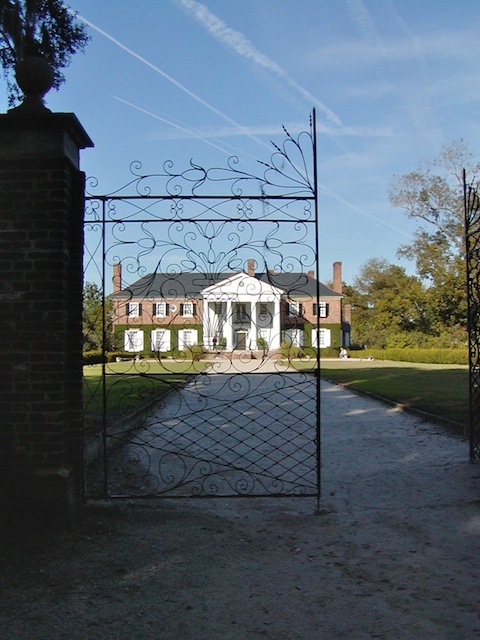 There are enough plantations to visit that you will have no problem soaking up as much Antebellum history as you can take. 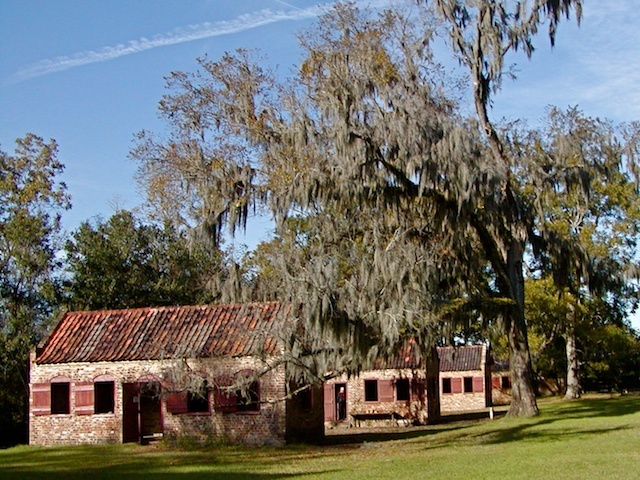 Boone Hall is a “still working” plantation where you can explore the grounds and reconstructed slave quarters. 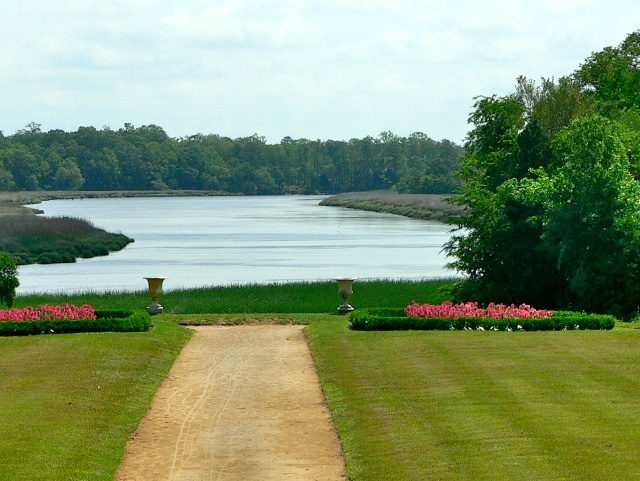 Or, there is 18th century Middleton Place, with America’s oldest landscaped gardens. things like shrimp and grits, she-crab soup, red rice and fried oysters. If you get there, one of our favorite restaurants, Magnolia’s, has home made potato chips covered with scallions and blue cheese. No one said southern cooking was heart healthy. Just ask Paula Deem. I can’t say enough about Charleston, except to recommend you put it on your “places to see” list. There are several nice campgrounds nearby. Or, you an opt for one of the many bed and breakfast’s. 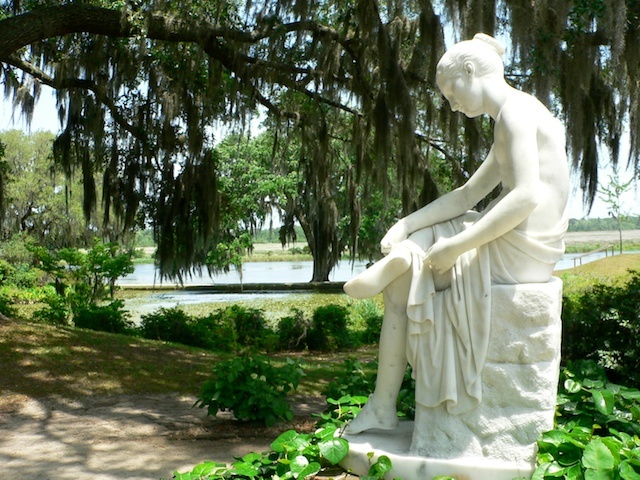 Savannah, Georgia is not too far away and they make a nice complement to each other. 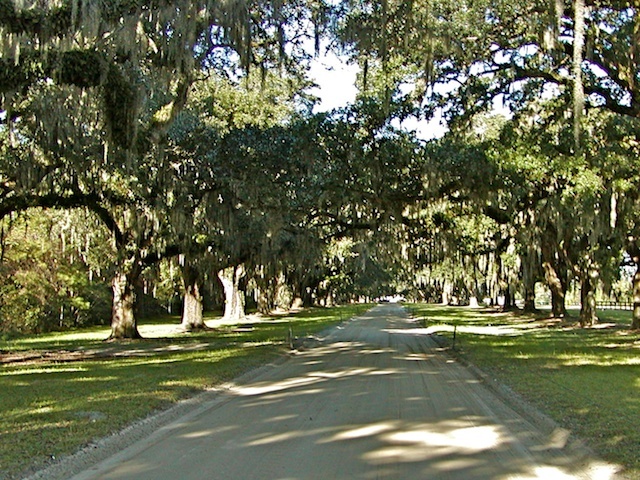 I have friends who will say they like Savannah better, but I know our red roads will always lead us back to Chucktown, as it is fondly called by some of the locals. Beautiful pictures! Looking at them, you feel like you’re there. It’s truely a lovely place and you could make a very nice life there (and fish!). I, too, love Manhattan and would happily live there if we had a LOT of money because I think that is what it would take to live the “good life” there. Thanks. I visit Manhattan every fall to see some college friends and get my fix. Yes, money is needed, even for a place the size of our RV. There’s always the lottery. Great photos of Charleston….and tell hubby there’s great fishing on the Hudson River and Long Island Sound right outside of Manhattan! Just wondering if you were still in New England…. Nice…are you still in NH? 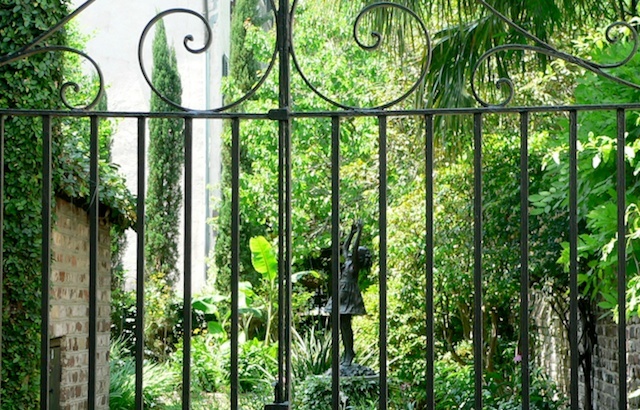 This is great- Charleston is a true southern gem! You reminded me that we need to visit Charleston again, but it will probably be in the fall or spring. The summer heat makes it uncomfortable to be out for walks and exploring. 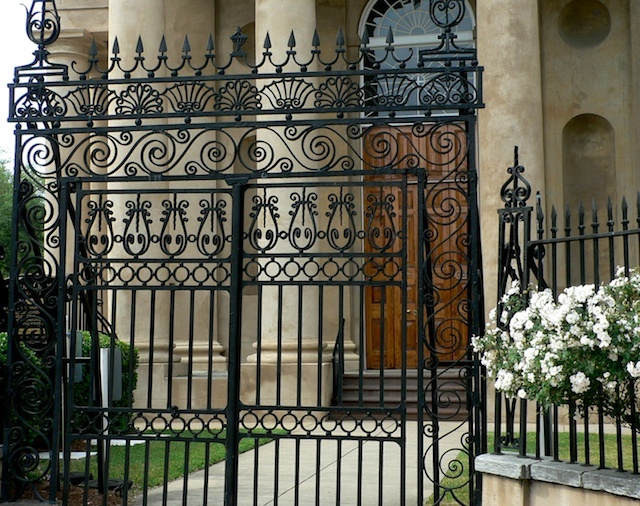 We also love Charleston and have been there dozens of times. Spoleto Festival, in late May, is always wonderful. The town is alive with art, music, theater and people in a festive mood. If you love NYC you must go there around Christmas time. The lights, storefronts, all the decorations! Our favorite time to visit. Spoke to is always a fun time. I grew up on LI and worked in manhattan on and off for 20 years so I’ve seen Christmas, blackouts, blizzards and many ups and downs, but the Apple continues to shine in my eyes.